This research has been made possible by using the archives held at the Hive, and also the archives of the Worcester Chronicle, for which we thank them. If you have any further information or can give us sight of photographs that you may have regarding these societies, please do contact us. 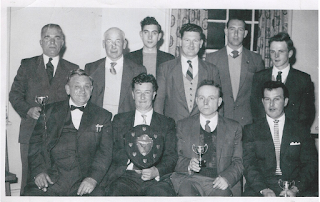 The Air Rifle Club started life in the Working Men's Club, now known as the Hallow Sports and Social Club, and the club joined the long established Lord Ednam Air Rifle League in 1947. 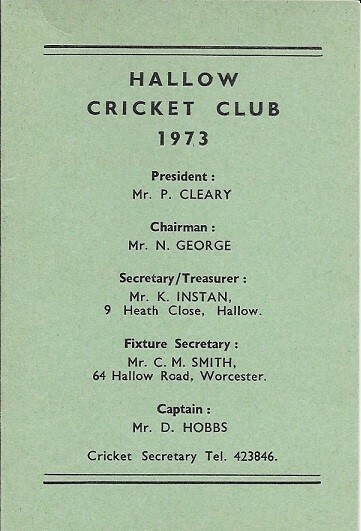 The last records of this club to have been found are dated 1973/74. The Hallow Amateur Dramatic Society (HADS) was founded on February 26th 1914 by a group of ‘pioneer members’ under the chairmanship of Chris Lock, with Revd. Kershaw as president from 1914 -1924. Mr Arthur Lord and family of Hallow Mount had staged a show in aid of ‘Waifs and Strays’ and the Scouts in 1911 and became enthusiastic and active members of HADS. Following the success of an informal Christmas production of ‘Cinderella’ in 1913, a formal society was formed with rules, subscriptions and membership, the accounts and minutes of which are stored at the Hive. Members from a 3 mile radius of Hallow paid an annual subscription of 2 shillings. The committee, including treasurer, secretary and stage manager, met in Green House, the home of Nurse Brown, and included also the Wheeler and Lock families, Mr. Green, Mr. Moon, Miss Spark and Miss Gardiner. In the following year this ambitious and dynamic group purchased, hired or made a proscenium, curtains, wings, scenery, lighting, costumes and props for 3 sketches performed for Hallow Parochial Garden fete in June, to a paying audience of 103, and ‘Sleeping Beauty’ on New Year’s Eve in the Schools to an audience of 213, an event that raised funds for the War Fund. However international events intervened and in 1915 HADS fell into abeyance as so many members were in active service. At a meeting on September 11th 1920 the decision to resume HADS was made. However bitter arguments ensued because somehow the staging belonging to the group had been sold without the committee’s permission, membership of the original committee wanted to retain control without active participation and conflict raged between pioneer and new membership particularly over items of scenery retained by the pre-war group. HADS reformed in February 1921 under the chairmanship of Mr. A Hearn with the intention of contributing a concert party to Hallow Parochial Garden fete and producing a Christmas show staged in the Schools and, after 1930, in the new Parish Hall. A grant of £10 from the General Purposes Committee purchased a new platform for HADS. Membership was set between 3 and 5 shillings for the 63 members in the 1920s. Audiences totalling 312 enjoyed 2 performances of ‘Beauty and the Beast’ at Christmas time followed by three sketches in April 1922. The Christmas production of ‘Maid Marion and Robin Hood’ attracted audiences totalling 478! The proceeds after expenses of these successful shows were donated variously for War relief, Church organ fund, the school piano then for the Parish Hall. Mr A E Lord, resident of Hallow Mount, presided over the Society from 1925 with a committee including the vicar Revd. Stallard, schoolmistress Miss Clay, Miss Wheeler, Miss Allen, A S Lewis, H. Callaway, H E Harris, J Richardson, W Allen and secretary Chris Lode. In the following years HADS often failed in its aim to produce a show for the Parochial garden fete at Hallow Mount but staged ambitious shows most Christmases or New Year with good audience numbers: 1923 –Cinderella (309), followed by a ‘Year of regrettable inactivity’ then in 1925/6 - Puss in Boots (375), 1926 a repeat of Maid Marion and Robin Hood’ (310), 1927/8 – the Golden Bell (An Arabian Adventure) (349). In 1928 HADS produced a novel show celebrating the first television broadcast in New York in September 1928, billed ‘Variety and Vaudeville’ (310) which included a weather forecast and the cast all dressed in black and white. Much of the show was written by Mr E J Moule, a retired Headmaster from Redditch who became a stalwart of Hallow until his death in 1939. Meeting rooms, rehearsal space and performance venues presented problems but HADS rented space in the ex-Servicemen’s Club and the Schools, holding meetings at Lea House. With the opening of the Parish Hall in 1930 HADS chose ‘A Christmas Carol’ for their first show in the new venue in January 1931 with audiences totalling 279.The Society offered the Hall Committee their portable staging but Mr Banks declined in favour of a permanent structure. Junior thespians were recruited by Miss Clay for HADS productions as well as for Hallow School Christmas shows. HADS numbers had dwindled and subscriptions were reduced to one shilling in 1930. Despite this they managed to stage ‘Trial by Jury’ (155) and an Operetta ‘Peach Blossom’ (232) in the following two years after which HADS own records are not preserved. However parish magazine Feb 1932 reviewed ambitious performances entitled ‘The Unexpected Bargain’ and ‘The Mock Trial’. A further show attributing Arthur Lord as promoter and Jock Lord as producer is reported in May of that year. HADS, under the leadership of Mr and Mrs Chris Lock and Miss Clay continued to produce shows and plays with both children and adults. In Dec 1934 Miss Clay produced a 3 act operetta entitled ‘Pearl the Fishermaiden’ described in the parish magazine as ’by far the most ambitious piece attempted by the Society since its formation 20 years ago’ with a cast of over 30. What happened to such a thriving Society? Arthur Lord whose memorial window can be seen in Hallow Church, died in 1935. Gertrude Clay retired from teaching the Infants at Hallow School. Chris Lock retired from various parochial responsibilities in the hope that he would write a history of Hallow. Perhaps HADS leading lights for over 20 years left shoes too big for others to fill and HADS folded. For the next few years Worcester Operatic and Dramatic Society brought a show to Hallow Parish Hall to entertain the paying public. War followed and it appears that HADS had had its day as post war issues of the Parish Magazine make no mention of ‘Am Dram’ in Hallow. In the latter half of the 20th century drama appears to be largely a female only pursuit with Hallow WI often producing one act plays, sketches and shows for the entertainment of their own members and guests. Some of performances were presented at WI festivals. Avis Stoddard and Dorothy Capper are remembered as producers and Gertie Clay was also involved. The short lived Hallow Association staged a ‘Poetry and Pints’ evening as a Christmas entertainment. In the late 80s the Horticultural Society in conjunction with the Scouts staged a one off ‘Gang Show’ style concert with a series of sketches involving Walter Amphlett, Derek Portman and Les Goldsmith amongst others. However, in recent years Hallow Village Community Group has set about creating some drama! Their first sortie involved members of the committee and local thespians acting out the plot for a Murder Mystery evening based on Fawlty Towers. What a night that was! Following that, the cast were keen for more. In 2010 Hello Hallow, a village variety show took place with local groups and organisations providing another night to remember. Who will ever forget "sawing the lady in half", Gerry and the Attricks and ‘The Full Monty’? The next year along came the ‘Allo Hallow’ Murder Mystery evening when local acting talent exceeded all that had gone before. The audience were all in fancy dress too with women sporting moustaches and men wearing strings of onions or garlic. Buoyed up by this success, the core group were ready to really go for gold and Hallow's own version of ‘Aladdin’ produced by Jenny Cormack resulted in 2012. This was really well received, selling out three performances. The cast and crew probably enjoyed themselves as much as the audience. Sadly, due to time restraints a panto has not been produced since 2012 but ‘Hallo Again Hallow’ our second variety show did follow. Although it was more difficult to persuade local organizations to take part the evening was another success. Top class singing, magic tricks and even ladies of a certain age dancing while sharing tights helped to keep standards high. Perhaps the time is now right for a 21st century resurgence of Am Dram in Hallow. The Hallow History Group project has been to research the clubs and associations of Hallow of which this is one. The bells of Hallow Parish Church have rung out on a weekly basis for the whole of the 20th century and into the 21st century save when they were interrupted by war. It is the dedication of the band of ringers over this period of time which has enabled the bells to ring out and as much as possible their names and stories about them will be recorded in this project. The text is culled from many sources including old Church magazines, Berrows Journal, previously unpublished documents and the aural and written histories provided by current ringers. There are several appendices which give information about the art of bell ringing, the peals that have been rung in Hallow and poetry written about or by the local ringers. Every effort has been made to create an accurate record. The author apologises for any errors which will be corrected in future editions. The Hallow Bell ringers much regret the loss of their Master and Tower-keeper, Mr. A. Winterton, who has left this Parish to take up an appointment in Dudley. He had been the conductor and instructor of the Ringers since the tower was built and the bells were hung in the year 1900. Under his guidance the Hallow Bell ringers have achieved reputation and fame far and wide, and many have been the notable “changes” rung on the Hallow bells. As a mark of esteem and gratitude for his services, he has recently been the recipient of a handsome parlour-clock, bearing the inscription “Presented to A. Winterton by the Vicar and Bell ringers of Hallow, 1915”. Mr W Rouse who was one of the original band of Ringers in 1900, has kindly acted as Hon. Secretary for the presentation. On Sunday, Dec 1st, before the Evening Service, the Hallow Band of Ringers accomplished a “Date Touch of Grandsire Triples,” denoting the date of the year and consisting of 1918 changes. The ringers fulfilled their task in 1 hour 12 minutes, standing as follows: T Lane, treble; C. G. Bowkett, 2nd; J. Batchelor, 3rd; G. Checketts, 4th, L. Clay, 5th; T. Bullock, 6th; G. Hinton 7th; and G. Jacob, tenor. On Thursday morning, Dec 26th, they rang a peal of Grandsire Triples, consisting of 5,040 changes. On Saturday, June 14th, there was rung on the bells of the Parish Church of St Philip and St James, by eight members of the Worcestershire and District Association of Change Ringers, in 3 hours and 24 minutes, a Peal of Kent Treble Bob Major, 5576 changes. The Peal was composed by Mr. Arthur Knights of Chesterfield and conducted by Mr. Joseph E Sykes, and this was the first time of ringing. The first peal in this method by Messrs. Bowkett and Lewis was rung on the eve of the return to civil life of Sergeant E. Morris after nearly four years in Khaki. CAMPANOLOGY – on Sunday, Sept. 7th, there was rung on the bells of the Parish Church, by members of the Worcestershire and District Association, a peal of Kent Treble Bob Major, consisting of 5,056 changes in 3 hours and 5 minutes; Charles G. Bowkett, Treble; Francis W. Neate, 2nd; William Ranford, 3rd; Joseph D. Johnson, 4th; George Hinton, 5th; Gordon W. Checketts, 6th; William Lewis, 7th; Joseph E. Sykes, tenor. Conducted by Joseph E. Sykes. The Hallow Bell Ringers held their Annual Meeting at the Vicarage on 18 January 1939 under the Chairmanship of the Vicar, the kind Hostess being Mrs. Stickings who was assisted by Miss Clay. Master, Mr. Leonard Clay. Deputy Master, Mr. T. G. Green. Messrs. Leonard Clay, T. G. Green, Percy L. Blissett, Christopher F. Blissett, Arthur H. Tyler, and William Sharp. The latter also undertaking to be responsible for the Clock Winding. BELL RINGERS: The sympathy of all will go to Mrs. Tyler and her family; she has lost a good husband and we have lost a keen member of our belfry. One of the most attractive hobbies is bell ringing, and it is a pity that we have not a full band of ringers, for our bells are exceptionally good ones. We need about six young men to make up the number, so that the bells can be rang each Sunday. Will any who are interested, please volunteer and give their names to the Vicar. In 2016 it is said that there is a current shortage of church bell ringers which means some of the bells in the county’s churches may not get rung. 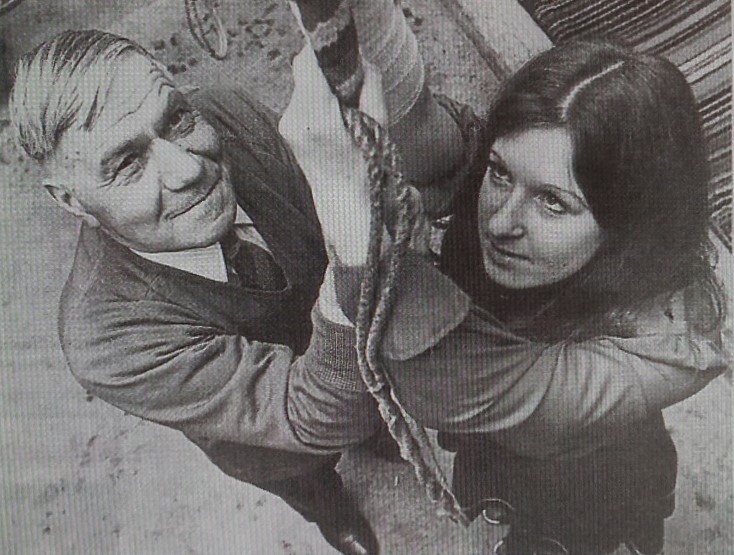 One set of ringers was reported as travelling between three churches a day to ring the bells, a far cry from the 1970s when the skill/hobby/accomplishment was highly popular and the Worcester News was able to carry a story headlined: “Bell ringing Boom”. As a hark back to the era, here is a photograph of the team of ringers at Hallow Church, just outside Worcester in 1975 with new recruit Sarah Clarke on the far left being given some tips from experts Jim Ranford, Jim Wheeler, Fred Push, Neil Bell (appropriately named) Jack Call and Bob Browne. On Christmas Eve and Boxing g Night, the Hallow Band of Hand Bell Ringers, under the leadership of Mr. A. Winterton, visited the principal houses in the district where they rendered a selection of songs, carols, etc., on the bells, and were complimented on the excellent progress they have made since they started with them a short time ago. SOCIAL EVENING – On Thursday January 2, the Choral Society invited their friends to a Social Evening at the schools, when, after an excellent tea, to which about 80 sat down, dancing, singing, and games were indulged in to a late hour. Mr. Joseph Hill efficiently discharged the duties of accompanist. Hallow Choral Society is in a flourishing state. Last week the members gave a concert, the principal item of which was Macfarren’s cantata ‘May Day’. The work presents certain difficulties even to accomplished singers, and the performance at Hallow shows what can be done in a country place with a scarcity of real talent. The result amply repaid the chorus for the great amount of time they have spent in reparation, and the crowded audience fully appreciated their efforts. Mrs. Glover Eaton sang the soprano solo in the cantata, and also contributed another song. Other contributors to the programme were Miss Sheppard, the Rev. J. F. Hastings, A. Perowne, and A. Griffiths, Messrs. Alexander and Hopewell. The Rev. A. L. E. Griffiths has devoted a considerable amount of time to the Society, of which he is honorary conductor, and to him, in a great measure, is due the success with which recent performances have been attended. The members, recognizing this, presented him on Friday with a handsome clock, as a mark of their appreciation and esteem. Mr. H. Lock, who was captain of the Club before the War, said that the former field was still available, the pavilion might require a little repair, and he had looked carefully after the bats, balls, and other appliances in the interim. Practice was commenced on Monday, May 7, and it is hoped that the season of 1919 may be pleasant and prosperous in the annals of the Club." October 1919. Many family names appear as sons follow fathers onto the team and if you happen to visit the playing field in the season you will see many familiar local faces. We are grateful for all the cricket club members who have provided us with memorabilia and photos, and in particular David Richardson for some of the earlier photographs in which his father appears (in most). HALLOW CRICKET TEAM - photograph taken on Pitchcroft, Worcester c. 1930. Oggie Gillett appears in photographs below - he looked after the cricket pitch and took his job very seriously,taking great pride caring for the pitch and woe betide anyone who went on it when they were not playing in a match. Oggie lived in a little cottage to the left of The Pinch, off The Green. Back row: From the left, second man is Frank Richardson, third man is Bill Evans. Front row: From the left, sixth man is Eric Price, seventh man is Oggie Gillett. 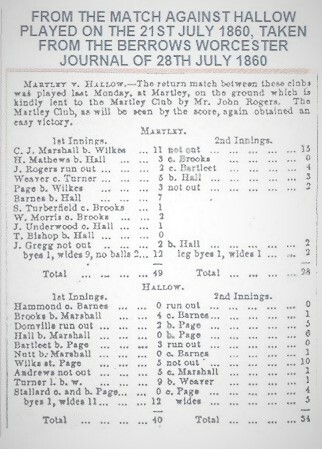 After the Second World War, in 1945, Mr. Geoffrey Munslow returned to the cricket club. He and his wife were very active supporters for about 20 years - and they tried to attend all their matches, both home and away. 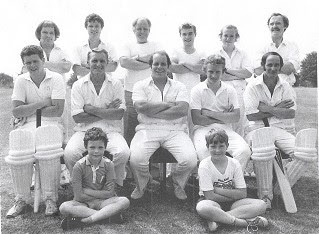 David Hobbs was the captain when they first began and from the age of 9, their son, Tim Munslow helped putting up the numbers, whilst Mrs. Jean Munslow served teas. She was designated Life President of the Club. Mr. Munslow made a table for the scorer with a wicket and a stool. After Geoff died, a plaque was made in his honour engraved "In memory of Geoff Munslow. Loyal Supporter. Hallow C.C." Standing: From the left, first is Ogie Gillett, second is Ken Gardener. The next man is unknown to us. Fourth man is John Dutson, fifth unknown, sixth Frank Richardson, seventh Bill Appleton - eight and ninth unknown. Seated: From the left, first man unknown, the second man is Bill Evans, third unknown, and fourth man is John Appleton. In the back row (from the left) is Bill Appleton, Frank Richardson, Oggie Gillett, John Dutson, an unknown gentleman, Roly Rogers and Eric Price. Front row: First man is possibly E. W. Band, second is John Appleton, third maybe J. Croft, and fourth is Bill Evans, fifth S. Watkins and sixth Ken Gardner. 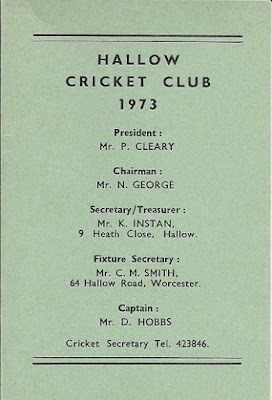 In 1962 the Cricket Club was reformed with Bill Wainwright, Bob Bayliss and David Hobbs in charge. Percy Griffiths, using his contacts, helped them to play a selection of games with other teams. They always played home games on the Hallow playing field "square". This field was bought by Mr. Banks and given to the village for the use of sport. At this time games were not allowed to be played on Sundays. There was strong support from the wives - Jean Munslow, Wendy Stratford and Jean Hobbs in particular - and they provided teas and cakes for the teams and visitors, before the game as well as in the break. David Hobbs played for Hallow from 1962 to 1992, with Brian Hancox as captain. They cut the grass, using a mower that was kept in the outhouses at Westfield where the Browne family lived. 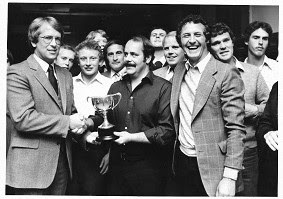 Other strong members of the team were Brian Stratford, John Gwilliam and Noel George - also remembered were Clive and Alan Instan and Roger King. In the beginning the mainly village matches were friendly, but as time went on they became very competitive and they became a tough and successful team. They could not comprehend losing to Martley!! 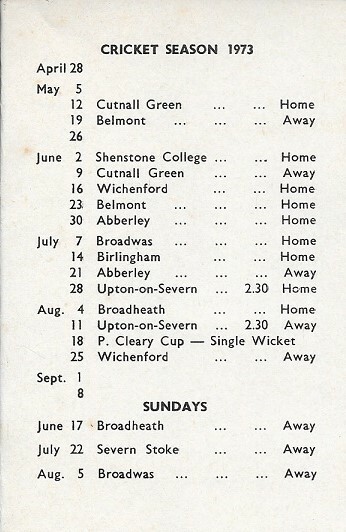 Later they played teams from all over Worcestershire, and occasionally played Stourbridge. Once they played Hay-on-Wye on their home ground and wiped them out. At the end of the seasons there were dinners when presentations of cups were awarded to players. 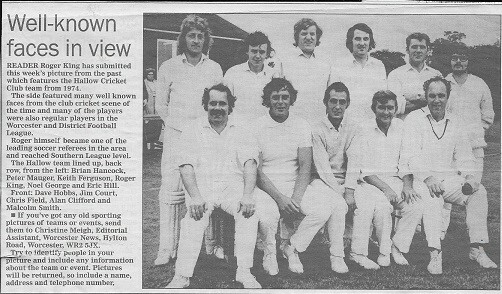 Do you know the team members in this undated photograph, possibly in the 1970s from the hair styles ! ? About 25 years ago there was a push to have a pavilion built and there was support for this, but for various reasons it did not happen. 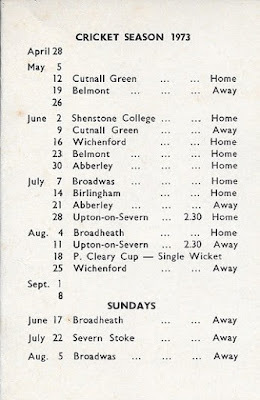 Ron Carrington was a keen supporter of the idea and provided the club with an old temporary school classrooom from Kidderminster and arranged transport for it by Melvyn Smith. Hallow played Wichenford on their home ground at Wichenford Court. The "square" was kept in excellent condition and protected when not in use by a fence. The "field" was in use during non-playing times by cows. During the game the players nearest the square were all right but if you were unfortunate enough to be an outfielder you could take cow pats home with you on your clothes. It was thought that the reason that the matches were friendly and non-aggressive games with other teams was that both teams would go to the Working Mens' Club for drinks after a game and argue any issue through, so there was no problem next time they met. Mick Jones, who lived in Oakleigh Avenue and was President of Worcestershire County Cricket Club. Bernie Gosling who was known as a footballer. In 1907, Lord Robert Baden Powell set up the Boy Scout Movement. Girls wanted to be involved as well so in 1909 they ‘gate crashed’ the first Boy Scout Rally at Crystal Palace! They asked Lord Baden Powell to find something for girls as well as boys. As a result of this, in 1910, the Girl Guides Association was formed, led by Agnes Baden Powell, Lord Baden Powell’s sister. It was not until 1928 that Hallow started its own Girl Guide Company. This was the beginning of 1st Hallow Guides. The Captain was Miss Mary Amphlett and the Lieutenant was Mrs Collett. On Sunday 13th November 1932, the banner of the Hallow Company was blessed in the Church. Mr Stallard dedicated it and Mrs Noake had embroidered it. The company was divided into patrols with names such as Octopus, Kingfisher, Bullfinch and Orchid. The Policy Organisational Rules or P.O.R. was set up - this refers to the rules and regulations of Guiding and are still used as a point of reference. The Girl Guides worked hard at gaining badges. Early badges included Cyclist, Photographer, Electrician, Sailor, Telegraphist, Tailor and Air Mechanic. The Guides would, also, go on long hikes at marching speed into the Worcestershire countryside, where they would hold field activities, have a picnic and then march home again. In addition, they would organise activities, such as Whist Drives, to raise money for necessary causes. In January 1929, they raised £10-8s-0d at a Whist Drive which included a Beauty Competition. The ‘shy’ winners were Miss D Brazier and Mr V Lancelot. Some of the money went towards good causes such as towards the cost of the new Parish Hall which opened in February 1930. In 1932, they collected groceries for the Waifs and Strays Pound Day. They collected quite a few pounds from the people of Hallow. They also raised money for their own funds. Even today, the Guides still raise money by Sponsored walks, Sport Aid etc. 22nd February was and still is a very important date in the Guiding calendar. It was the anniversary of the joint birthday of Lord Baden Powell and his wife Olave, who had become the Chief Guide in 1918. It is known as World Thinking Day and guides think about their sister guides all around the world. Hallow Guides meet up with other guide companies in Worcestershire for special thinking services at the Cathedral or St John’s Church. Little reference is made to Hallow Girl Guides during the war except for a mention in the Parish Magazine in July 1945. We are glad to see the Guide Captain about again, though it will be some time before she can resume her duties. She has had much suffering but she bore it with great fortitude and set an example of the real spirit of a Guide which her Company saw and from which they learnt so much. We can only presume that the Captain had been seriously injured or had lost loved one(s). After a gap of many years there is at last the opportunity of commencing a Guide Company in Hallow. Opening meetings have been planned for Tuesday November 30th and December 7th at 6:30 in the Parish Hall. Any girls in the parish who are over the age of 10 ½ and would like to join are invited to come along. On 1st February 1966, eleven girls were enrolled by the District Commissioner. 1st Hallow Guides then went from strength to strength. By 1987, the number of guides in the Company had risen to 20. The Queen’s Guide Award, which had been introduced in 1946, was successfully completed by many Hallow Guides. This is the highest award that a Guide can achieve and the girls have to take various difficult badges to achieve it, such as the Commonwealth Knowledge badge. Some Hallow girls who have been successful in attaining the award are Sandra Davies in 1977, Lynne Wilson, Tracey Caldicott and Carol Dutson in 1979 and later, Karen Hughes, Christine Davies and Elizabeth Philpott. Sandra Davies went on to gain her Adult Leadership certificate in 1982 which made her a fully-fledged Guider. She was later to take over as Guide Captain from Mary Foster in 1984. In 1987 the Guides moved to the Scout Hut where they could do more exciting activities such as Wide Games, Trekking and Guide Challenges. 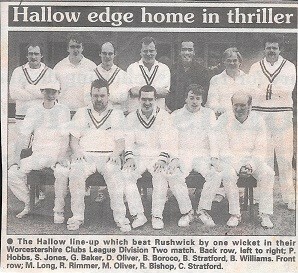 In April 1987 Hallow won the Challenge Cup. Katie, Kim, Kelly, Zoe Reeves, Mana and Nichola worked very hard to achieve this. The last time Hallow had won the Cup was in 1972. On 18th July 1987 Sandra Davies married Neil Luff who was a Scouter from Hallow. The Girl Guides and Scouts formed a guard of honour at the wedding. Everyone was, then, invited to the evening reception. Going on camps was a very enjoyable part of the Guiding year and sometimes Hallow Guides would go away for maybe three camps a year. A lot of the skills learned through the winter months were to prepare the girls for the Camps e.g. cooking, tying knots, putting up tents, devising menus, learning First Aid and making fires – this would then lead onto the girls achieving various badges such as First Aid Badge and Fireman’s Badge. The very first camp was held at Kenswick Manor in 1966. The girls camped in one of Brigadier Britten’s fields. It was very basic but Brigadier Britten entertained them with talks of his life and of being the Queen’s Extra Gentleman Usher etc. Other popular places to camp were Blackmore at Malvern and Shelsley Beauchamp. When Mary Foster was in charge of the Guides, she always did the same menu – Roast Lamb and Steam Pudding! Quite a feat in the middle of a field! During the day there would be a rest hour. The Tuck Shop was brought around to the girls as they rested in their tents. The younger guides tried to move around the tents to see their friends but the older guides liked to sleep! In July/August 1982 an International Guide Camp was held at the Three Counties Showground. Eleven 1st Hallow Guides joined the 1,300 Worcestershire Guides and 150 Guides from around the world. Activities at the Camp included dry-skiing, horse-riding, canoeing and swimming. Also handicrafts such as enamelling, corn-dolly making, splatter printing and mobiles. On the Sunday, 300 people took Communion in the sheep shed! Various outings as special treats were made over the years. As far back as 1947, the Girl Guides were taken to the Alexandra Theatre, Birmingham for the pantomime. More recently, in the ‘80s, they joined in with some of the Scouts activities such as the Gang Shows. They went to the Swan Theatre and had day trips to Alton Towers, Symonds Yat and Ragley Hall. Since 2000, there has been the Big Gig which is now an annual event. In 1990, the Girl Guide uniforms changed and a new set, designed by Jeff Banks, was introduced – not everyone thought that these were an improvement! Sandra Luff remained in charge until 1991 when she went on maternity leave. She was superceded by Margaret Hurley and currently, Jane Martin is in charge of 1st Hallow Guides. In 2002, the Guide Association was renamed Girlguiding. HRH Sophie, Countess of Wessex became the President of Girlguiding in 2003. 2010 saw the 100th anniversary of the Girl Guide movement. The Girlguiding Centenary Fund was set up to give grants to girls and women aged 5-25 to ‘help them follow their dream’. A special set of stamps was issued. Hallow got involved and had their own celebrations. Brownies: In 1914, the Rosebuds were formed for girls under the age of 11. These were renamed as the Brownies in 1915. 1st Hallow Pack of Brownies was formed soon after the Guides and their Brown Owl was Miss Ayres, who was also Brown Owl of the Broadheath Brownies. Over the years, Brownies became very popular and a long waiting list to join, built up. Eventually, in 1978, Hallow had a 2nd Hallow Pack. Mrs Creed was the new Brownie Guider and the pack’s pennant was dedicated in Hallow Church in April 1979. The Brownies joined in with many of the same activities as the Guides, especially with fund raising and special outings. Other notable Brown Owls were Pat Clegg, Julie Willoughby and Christine Lockett, the current Brown Owl. In 2014, the Brownies had their centenary celebrations. The Big Brownie birthday was held. Hallow Brownies joined in the celebrations with the rest of the District. Rainbows: In 1987, the Rainbows were formed for 5 – 7 year olds. These have been very popular in Hallow. Senior Section: 2016 is the Centenary Anniversary of the Senior Section, formed in 1916. Celebrations will be held all over the Country. As you can see, the Girlguiding organisation has survived the test of time and is still thriving and will continue to thrive, letting girls and boys learn and develop skills as well as……. Photos courtesy of Christine Collins, Carol Dutson and Sandra Luff. 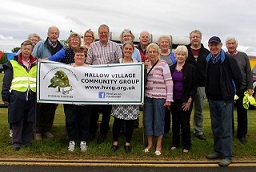 Hallow History Group was formed in 2008 as a sub group of Hallow village Community Group. In 2006 100 copies of booklet entitled ’A Brief History of Hallow’ were produced and sold which helped to create an interest to engage in further research and to attempt to record the history of our lovely but rapidly changing village. The booklet formed the basis for a village history walk in 2007, attracting 60 walkers, including a core of people who went on to form Hallow History Group. The group began by collecting written oral histories of the older residents of Hallow, many of whom are no longer with us. Then in 2009 we mounted a display of aspects of village history that attracted 300 visitors through the day. Our first major project, completed in 2010, centred on Hallow Village Green. Each existing property and earlier buildings were researched. We learnt about a pub, coffee shop, a Malthouse, bakery, forge, garage, petrol station, post office and other shops that existed over the centuries to serve the village. The next year our Group decided to research and record the farms and mills of Hallow, a major project completed with the aid of a generous grant from the Heritage Lottery Fund. This enabled us to get training, buy equipment and materials, work with school children, copy ancient maps, waymark a heritage walking route, make oral recordings of farming memories of Hallow, set up our website, produce a book and finally mount a display on May 19th 2013. This was supported by the community and other Hallow Groups by the first of our successful Country Fairs, which is becoming an annual event involving the whole village and beyond as well as the history group. In addition, in 2012 the group has researched the 300 year history of the village school, joining with them in their Tercentenary celebrations. With the demise of the Royal Oak, members of the group set about recording the history of the pubs of Hallow for a public presentation in September 2014. Research can be viewed on our website. With the centenary of the Great War in 2014, we embarked on researching our own local heroes, many of whom are remembered and detailed on our website, as well as some from the 2nd World War. Apart from our monthly research group meetings, we arrange field and coach trips, open to the public, to destinations of general historical interest. We engage public speakers to present talks of local interest, a few of these talks are presented by one or more from our own group members. The current Society was formed in 1985 and celebrates its 30th year in 2015. However, its existence dates back much further and there are original show schedules available which date to 1950. This item was printed in the Worcester Chronicle dated 14 February 1903. Mr. W. H. Woodcock, Hallow. If you have more information of this club, please contact us. The Hallow Village Community Group was the brain child of Jon Tainton who ten years ago set it up with the objective of encouraging a stronger community spirit within the village. A group of interested people met at his house and decided to set it up. The group received some funding from the Parish Council and with the proceeds from a stall at one of the village car boot sales, they were almost up and running. Before the group could carry out any community activities they needed to take out public liability insurance which does not come cheap. The Welsh Border Morris Men were formed in 1973, by lifelong Hallow resident John Barker and two others, Dave Jones and John Aston, with the objective of running a side, to do just one morris dance tour a year at Christmas, dancing the dances of our region known as the Welsh Border dances of Worcestershire, Herefordshire and Shropshire. The style is lively, energetic, boisterous and often quite noisy with most dancing involving much stick-clashing. The link with Hallow has been strong from the start with a core of members residing in the village and the organisational meetings happening at The Camp House Inn in Grimley, even though the majority of the dancers come from elsewhere. In 1973 membership was restricted to dancers of Worcestershire's Faithful City and Silurian Morris sides, subsequently it became open to any morris man by invitation. Nowadays the side boasts one of the largest, if not the largest morris side in the country, with around sixty men dancing out each year. The men come from different sides from all over the country. The side practices just once a year, on the first Saturday in December. The practice has been held for many years at the Bell Inn in St Johns, Worcester. The actual tour has a slightly varying itinerary but always starts at The Fox Inn on Monkwood Green. After a hearty Full English pub breakfast the coach stops first in White Ladies Aston where villagers turn out in large numbers and share mince pies and mulled wine to all who attend – a truly delightful pre-Christmas tradition. The next stop is The Angel Hotel in Pershore where an AGM is held before dancing on the streets. Evesham may feature in the tour, though it will not in 2016! A traditional stop is made in Upton on Severn where the very well-known Upton Morris dances are performed, The tour finishes in the heart of Worcester, outside the Guildhall, dancing in front of last minute shoppers as darkness falls. Each year the side supports a chosen charity - Macmillan nurses in 2016. If you want to know more, contact the Secretary, (known as the bagman), Mike Finn on 01905 641058 or check our website http://www.welshbordermorris.co.uk/. On the 18th of June 1943 Mrs. Winnington, a Voluntary County Organiser (V.C.O.) from the Worcestershire Federation, presided over a meeting in Hallow Parish Hall. She gave an inspiring address on the meaning, responsibilities and pleasure derived by the formation of a WI in a village, and at the end of that meeting 57 members paid a subscription of 2s/6d to join. Hallow had a WI. July 15th 1943 - The first meeting setting out the Rules and Regulations i.e. Name of WI, you had to be 15 years old, 15 members on the Committee, you had to have a President and 2 Vice Presidents. Meetings would be on the 2nd Thursday in the month and the AGM would be in November, the first AGM was held in 1944. Mrs. Dorothy Wheeler was elected President with Mrs. Huband and Miss Haydon as Vice Presidents. Membership was in the region of 100 and any new members joining would have to be nominated by an existing member, a practice that continued into the 70’s. The meetings began with Jerusalem, the nationally adopted song of the WI, and ended with the National Anthem. I was very impressed reading the minutes how quickly they organised themselves for in September they decided to form a choir with Miss Clay and Miss Haydon in charge and Mrs. Locke as accompanist, to have one act plays which was left to Miss Haydon VP to organise (this must have been the beginning of the drama group) to have a trading stall at the meetings. They also organised a Produce Show to take place on Saturday October 16th, schedules were distributed and encouragement given, the prizes to be saving stamps. When you think that their first meeting and that was a business meeting had been in July, how amazing! The Produce Show was to continue for many years. Speakers and projects in those early years were geared to the war effort. No mention of jam! Economy, comforts for the Forces and Refugees, Fruit bottling and Canning, Wartime Christmas Fare, Vegetables all the year round, Make do and Mend, and Human relationships. The difficulties of collecting salvage….. I read one minute where the secretary was instructed to write to the Martley RDC with regard to the non collection of salvage, a force to be reckoned with, it was collected shortly afterwards. A survey of Sewage and Water was undertaken completed and passed. Members knitted socks for the Searchlight Battery based in the village and donated Christmas Fare. Articles were also donated for bombed out West ham and items were knitted for Occupied European Countries, VE and VJ days were celebrated. Members had classes on Glove making, Hat making and renovation, lamp shades, and dress making. (Still no mention of jam). In 1946 approval was given to buy a Canning Machine and this could be borrowed subject to members passing a proficiency test in canning, 14 members attended a one day course. Over the years every conceivable class has been held and are still being held in our own WI, offered by the Federation or since 1948, Denman College, the WI’s very own college at Marcham near Abington, Ox. Remember this is an organisation that began for education and which is still paramount. November 1945 – Mrs. Bradburn was elected President (each president serves a maximum of 3 years) and in December 1946 the minutes record the death of Mrs. Dorothy Wheeler who was killed in a riding accident, what an absolutely dreadful thing to have happened and it would have had a profound effect on members I am sure. In her memory Mr. Wheeler presented the ‘President Honours’ board and the WI planted a tree in the Churchyard. Husbands have played a big part in our history and we have been lucky to have had master craftsmen amongst them, George Braithwaite, Stan Wilde, Harry Instan, Fred Purchon, John Colemen and more recently Ron Watkins. John Elcocks with his superb calligraphy have also made a significant contributions. Each WI is in a group and Hallow is (until the end of the year) in the Woodbury Group with WI’s numbering at times up to eleven. We have had group meetings twice a year taking it turn to host the event, the idea being fun, friendship and a more expensive speaker than a small WI might be able to afford, always enjoyable. I joined the WI with Joan Philpott in February 1965 and our first Group meeting was held in the October of that year and was the occasion of a very embarrassing moment when I found myself locked in the loo and had to bang on the door to draw the attention of someone to let me out. It of course drew the attention of everyone and reduced me and one or two others to fits of the giggles. These meetings are arranged by the Group Co-ordinator….. In 1974 two significant things happened - we as a large WI had members who lived in neighbouring villages i.e. Lower Broadheath and Sinton Green (Grimley had a WI older than ours) so two new WI’s were formed LB is still there but SG closed after a few years. This meant our numbers were reduced to around the 60’s. The other significant event was an invitation from Shrawley WI to all the WI’s in the Group to take part in ‘It’s a WI Knockout’ at the Lenchford Hotel - the sports secretary formed a team and we took part. I don’t remember what activity I took part in but it was a fabulous day out for all the family. This was the start of the Shrawley Cup Competition which continues to this day, competitions have included Edwardian Cricket matches, Rounders, Treasure Hunts to name but a few with different WI’s hosting the event. Still very much a thriving though smaller WI, The Choir and the Drama Group entered competitions with some success and played to audiences well outside Hallow, and The Drama Group carrying their props including furniture in a van. In 1959 it is recorded that the Drama Group were very disturbed by the lack of Conveniences at Powick Village Hall where the Drama finals were being held!! We have played our part in village events organised by the Church and Community Group, and have taken part in two TV projects, one with 2 Russian painters travelling the country to find the nations favourite painting, 5 hours filming for a bit that lasted no longer than 5 mins, Jerusalem…………. We were involved in another pilot filmed with ‘4 poofs and a piano in 2005!!! It didn’t take off!! We have over the years celebrated significant WI birthdays, our 21st, 25th, and 30th. Tom Coyne, Midlands TV presenter was our speaker for the 30th, and so on with our 70th in 2013 Presidents like to mark their term of office and for me it was to suggest that we had a new Tablecloth which under the direction of Jeanette Riddex the Craft group worked on, unveiled at our Birthday meeting by Edna Wilde….. We had a wonderful speaker, an illusionist Bertie Pearce at our Party, membership had reached 70 and continued to rise and at the end of last year we had some 84 members. WI currently boasts a Craft Group, Book Club, Lunch club, DVD and Video club and skittles are played during the winter. Ruth Purchon organises a team and they play in the County Skittles competition. The Craft Group has had some success at County Competitions winning the WFWI Challenge Shield at the ACM October 2013 (our birthday year), and the Shrawley Cup again that year. We have had, and continue to have, outings locally and farther afield. We went to Paris one year, have been to Garter Ceremonies at Windsor Castle, Buckingham Palace and have joined County holidays including China, and in the early 70’s to Sorrento and Capri when two things made it memorable for the Hallow members and brings me to my other memory of Mrs. Bradburn. Mrs. Lamberton first …. At an early meeting Members who were knitting were asked to sit at the back of the hall as the speaker could not be heard above the clicking of needles. Low attendance at the September meeting was put down to members out Hop Picking. In 1946, apologies from Mrs. Bradburn as she had been making sweets for a children’s party and was badly burned, ouch. Over the year frequent requests for people not to chatter during the speaker and no smoking either until tea time. This WI has a long history and has generated a lot of fun and interest in the organisation and has encouraged members to go further. I very much believe that it is the fun, friendship and well run WI over the years that has generated that success. Long may it continue. The Hallow Working Men’s Club was established in 1858 to provide recreation and useful instruction for the working men of Hallow and Grimley, a great many of whom would have been in the employ of local landowners. We have been asked if we know why Mrs. Wheeley Lea felt the need to promote the club so although we have no written proof we thought it would be helpful to look at the prevailing social climate at the time. In the late 17th Century under William of Orange gin had been introduced from the Netherlands, its consumption became widespread and cheap “gin palaces” were opening across England which became a draw to the working classes as initially because of low production costs it was cheaper than beer. This had devastating social effects. As a direct result in 1835 England saw the birth of the British Association of the Temperance Movement. With its focus on the on the working classes and in a bid to counter the damage caused by the evils of alcohol, they advocated the provision of coffee houses and halls as meeting places as replacements for bars. Following closely on this movement was the Salvation Army founded in 1864 who also saw the terrible effect that alcohol, in particular spirits, was having on the working man. The climate of opinion then seems to suggest that working men should have a gathering place within the parish which did not directly depend on the consumption of alcohol. Men’s Clubs were then being formed whose aims were the promotion of education and recreation in a non-alcoholic way. These clubs were non-profit making organisations, run by the members through a committee, a practice which continues to this day. In 1862 when Henry Solly, a wealthy philanthropist , founded The Working Men’s Club and Institute there were 136 certified and enrolled clubs, only 13 of which were not within public houses. It seems inevitable therefore that the inception of the Hallow Working Men’s club was a room in the Plough Inn at the north end of The Green. It is probable that a subscription was paid and, as today, all funds would be used for the mutual benefit of members. We have a report that in 1899 the club was in funds to the amount of £3. The Plough became a coffee tavern in 1883 and by 1891 we have reports of well attended smoking concerts where convivial conversation, pipes and cigars were enjoyed whilst good music was played. The problem was that often non-members would wander through from the coffee tavern to join in. By 1901 the tavern had become uneconomic and closed down so the Working Men’s Club moved to the attached parish rooms which also housed the Nurse and Mothers meetings. In 1903 Mrs. Wheeley Lea bought the Plough Inn and the attached cottages and, in response to a request from the new President of the Working Men’s Club Rev. C .Fullmer, she built a new premises called “The Iron Room” for the club on the site of the present club. It was opened on the 21st of December 1903 with a celebratory meat tea paid for and attended by Mrs. Wheeley Lea. The Reverend Griffiths even provided 4 volumes to start a library. Times were changing and soon a beer licence was applied for. In 1905 The Plough and attached rooms were demolished and replaced by the houses we see today. In 1916, on Christmas day, Mrs Wheeley Lea died leaving control of Lea House and cottages and the Working Men’s Club in the hands of the Bishop of Worcester Rev. Walcott Yeatman. Although the building continued as a club it ran into financial difficulties. So in 1918 the Bishop passed responsibility for all the properties to the Worcester Diocesan Trust by deed of gift.We now see under the Trust the strictures in the lease to the club that any income generated should go towards the repair of the fabric of the building, they should have no political connection or any religious affiliation apart from Church of England. In 1929 the Hallow WMC were paying the Trust a rent of £2.10 shillings a quarter. Although the Hallow working men had control of the club other societies used the premises. The Forresters, a society set up for the benefit of members who paid a weekly amount to ensure they could claim benefit if the bread earner was sick or injured, held their meetings there. Unfortunately the History of the Club proved hard to chart from this point until we met with M embers who joined in the 60’s and shared their early memories with us. What we had hoped to find was the documentation kept by Clubs, for example, Minute Books and Ledgers. The present Secretary, Keith Owen also made a thorough search and no such documentation can be found although Minutes were and are taken. In our investigations at the Hive no records had been lodged in their Archives. We have been told that during various terms of office in the past there were several ‘clear outs’ and it appears that all records have gone. One hopes that perhaps someone tidied things away and they are stored in a loft somewhere and have been forgotten. It is such a shame that the Club’s History recorded in those books will not be read. We met with various members who as young men in the 60’s decided for various reasons to leave The Crown as their meeting place for a pint and chat and try the Club. Brian Chamberlain and Ted Pratt, seen with friends in the photograph, remember going into a large room which had a pot-bellied stove in the middle surrounded by a group of older men from the Village. There was a Snooker Table, tables and chairs but no Bar. Off the main room there was a room which had a window into the main room. If you wanted a drink you tapped the window and Ogie Gillet slid the glass window up and served you with your beer. There were opportunities to play crib, dominoes, darts and quoits. There was also The Lord Ednum Rifle League and some of the members were crack shots. They remembered that the Club did seem to be having financial problems and that there was a 6d one armed bandit machine that actually did, together with the sale of beer, help to make money. Mild was 7d a pint and bitter was 9d a pint, cheaper than The Crown! The subscription was 1 shilling per quarter. Gradually these new members were accepted by the older members mainly because they did not immediately push for new ideas and made sure that they remained sensitive to the ways of the elders .The numbers began to grow and the young men wondered how the idea of a Skittle Alley would be viewed? They were mostly skilled craftsmen and felt that they could do the job without it causing too much expense. The Committee agreed and they set about the task. They not only provided the labour but also managed to get the materials from various sources. 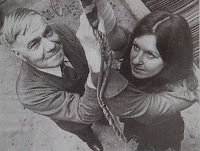 Kenneth Gardener raised some funds but the entire build was done with voluntary labour. They also cleaned the place from top to bottom. Soon the elders were joining the young ones and were very pleased with the changes. From the turn of the Century until the 60’s it had been a strictly ‘Men only drinking club’. When Skittles got going, using rubber balls to keep noise levels down, the men joined the League. The young men asked the elders if they could ask their wives and girlfriends to matches and they would provide some refreshments as this was the practice when visiting other venues. This was agreed and thus the start of a new age with women included began. When they played skittles the club stayed open until 11 pm. Soon other sporting clubs socialised at the club, the Cricket team, Football teams, Lord Ednam Rifle Shooting League, Snooker and darts. Brian’s sister Ann Pickup was the first lady to play darts in the club team. Ken Instan, Harry Instan’s son remembers playing in the Hallow football team and they all decided to go to the club after matches. After a while they asked the committee if the club could help with their kit. They were subsequently sponsored. The Rifle club met regularly with people like Harry Instan, Stan Wild and his son who were very good shots. It was remembered that they regularly cooked or heated Faggots on the old stove after matches. The profile of the club members changed from only labourers on the land to men from the various factories, skilled workmen and white collar workers plus women after the start of Skittles. In the 1970’s there was a complaint regarding swearing. The man in question was put in front of the committee and the complaint was upheld. Because women were now present it was recorded that jovial swearing would be tolerated but aggressive swearing would not be tolerated and anyone found guilty of the latter offence would lose their membership. Derek Harrison told us about his early time at the Club. Again a group of young men gave their time and energy to maintaining and modernising the building. He was involved in re-roofing the building. A bar was also constructed. He thought that some money came from Mitchel and Butler Brewery but again the men worked voluntarily. Monty Cook, the Chairman at that time, decided that they should pay these young men for all their hard work but they declined the offer and the money was used to pay for the installation of a heating system. The present Chairman, Trevor Bell, kindly allowed us to look through the Deeds and other legal Documents belonging to the Club. We found that in 1985 they were able to complete the purchase of the Club back from the Diocese. A loan of £3,500 from Mitchel and Butler made this possible. In 1993 the Club borrowed £18,600 in exchange for 100% of the beer being sold for 10 years. This gave a necessary boost to funds. Connected to conditions of this loan the Club changed its name to Hallow Village Sports & Social Club & Institute. Keith showed us a collection of trophies won by the Club teams, particularly the darts Team in the 1980’s. Also from 1979-1985 the Club regularly entered a team in a sponsored 10 mile walk in aid of the Bath Road Hostel and raised a substantial amount. The teams were made up of Men & Women. Children’s parties with presents and games were regular Christmas festivities. The present day Club still has teams playing skittles, darts, crib and snooker. Bingo is also a popular activity. An interesting fact mentioned in our talk with Ken is that many of the football team players now live out of the Village and although Hallow is their home ground they can no longer socialise after matches at the Club because of the Drink Driving Laws. Some go to St Johns WMC where they can then walk home. This is a sad loss for Hallow. The subscription is now: £10 per yr.
£5 per yr. Men over 65 yrs. £5 per yr. Women over 60 yrs. The Committee is now mixed with more women than men. I believe that the Chairman has been and is always a man. All are voluntary posts with the exception of the Secretary and the Treasurer who receive an honorarium. Listening to the memories people have shared with us many well-known Village people have been or are still associated with the Club. They are constantly looking for new members to carry on this long tradition. Certainly the original reason stated by Mrs Amy Wheeley Lea that the Working Men of the Village needed a place to come and socialise and relax after work has lasted throughout its history to the present day. Checking a few facts with Rose Chamberlain recently she actually told me that she goes on Saturday evenings and enjoys sitting with her friends and spending the evening relaxing together. Long may it last. We would like to thank all the members past and present who helped us and gave us their time. We would have found the latter half of this talk virtually impossible without their input. If anyone knows of or has any more information or photographs we would love to hear from you.